We’ve designed and developed hundreds of basement projects in London, and have been responsible for the planning process for hundreds more! Digging down is the new loft conversion and in the most expensive areas of London, excavating and installing a basement actually works out to be more cost effective than moving house – so thanks for that, Stamp Duty! Basements offer you endless possibilities. If you have the imagination and the budget you can basically have anything you want installed – as long as they fall in line with council policy, building and safety regulations. 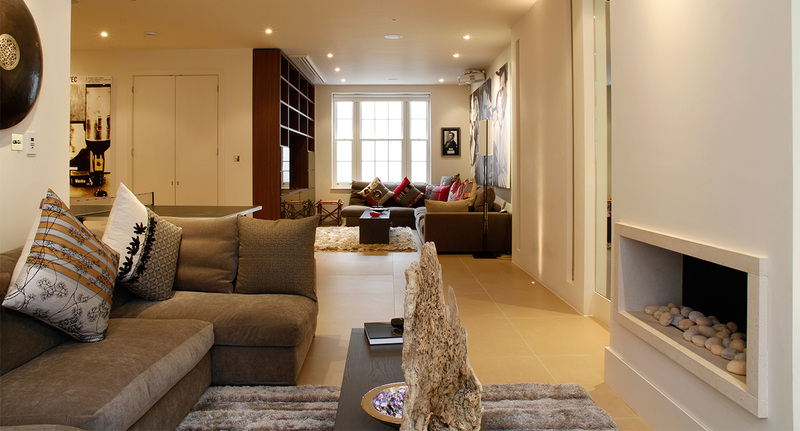 While we say that anything is possible we do have to advise that while it can be tempting to go wild with your creativity, when deciding how to execute your perfect basement it is important to try and keep it the same style as the rest of your home. However tempting it may be to install a low-ceilinged cinema room – if your home has high ceilings throughout the existing structure, the basement just won’t match and could be an issue for any future owners. We get a lot of requests but in this article we’ll show you some of the most common. In one of our previous blogs we speak about being creative with your space to make a basement for the whole family. Using a combination of design details and practicality there is no end to the fun you can have when you have a blank canvas to work with. Basements have proven very popular spaces in which to house au pairs, nannies and even on the rare occasion, housekeeping staff. They are also ideal for if you wanted to accommodate ageing family members such as in-laws and grandparents. Adding another floor to your property means that you can almost create a self-contained area for your temporary/permanent house guests. In the past if you had a pool table in your home, you were the envy of the whole street. But now, you need a music studio and home video game arcade. Maybe you’re a musical family or maybe you just like to play amongst yourselves, a room like this is ideally situated underground owing to the natural soundproofing of the earth around it. More and more people are living I properties with open plan kitchen/dining/living rooms. When it comes to basements the possibilities increase even further. By digging underneath the existing property and extending out under the garden you could potentially end up with a gigantic open space in which to entertain or just relax. We read somewhere that ‘staying in’ is the new ‘going out’, and nothing beats a trip to the cinema. Whatever the movie, it’s great to immerse yourself in a different world and escape the stress of everyday life. Imagine if that ‘night out’ is at the bottom of a flight of stairs in your own home. You are just a big screen and a projector away from a great night in. If you would like to speak to a member of our team about your basement options or if you need any advice regarding a basement project, give us a call on 01628 826066 or contact us via the website. You can also follow us on Facebook, Twitter, Instagram or LinkedIn.